There is no doubt that Florence Price’s music is undergoing a resurgence. The first performance of her music by the Boston Symphony Orchestra – which will perform three movements of her Symphony No. 3 in C minor, on Saturday March 23 — is part of this resurgence. Also we can note the recent performance of her Symphony No. 1 in E minor by the Minnesota Orchestra, and the recordings and performances of the newly discovered Violin concertos, and the Symphony No. 4 have all generated extensive publicity, with articles in the New York Times, and on National Public Radio, as well as on the websites of the various orchestras. The 2009 discovery of boxes of previously unknown materials has been part of this current wave of interest. But it is also important to remember that underneath the current resurgence of Price’s music, is of course, decades of research by scholars and interest in and performances of her work by pioneering musicians. 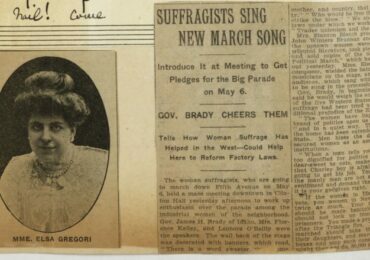 And of course, there is Price’s own advocacy for her music — seventy-plus years ago Price herself wrote to Serge Koussevitzky, conductor of the Boston Symphony Orchestra, asking him (in several letters) to consider performing her music. It has become a rather infamous moment in music history (described here and here), since Koussevitzky did not reply and the BSO did not perform her music. But now — finally, on Saturday, the BSO will play music by Price. Maestro Thomas Wilkins (who is also conducting the concert) is leading the ensemble in three movements of Price’s four-movement Symphony No. 3. He has rearranged them into a fast-slow-fast order and with the title “Symphonic Reflections.” Here is the BSO’s video announcement of the performance, which (BTW) uses the 2001 recording by The Women’s Philharmonic — still the only available recording of the work. We are happy that the concert will be broadcast live on WCRB radio (and streaming on the interweb)! 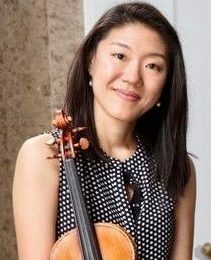 Maestro Wilkins has conducted the “Juba” movement of the third symphony before, and also has plans to conduct more of Price’s music, in particular, her Concerto in One Movement for Piano and Orchestra, in the future. After all, diversity is not a new issue. 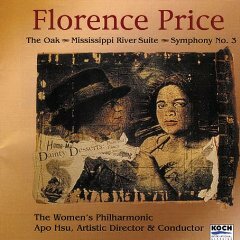 Florence Price is not a newly-discovered composer. But of course, I am glad that more people are now aware of the issue (and of Florence Price and her music). Prof. Doug Shadle has aptly observed that a new discovery lends excitement to an issue, but that Florence Price herself is not a novelty. Rather it is some of her music that has recently been recovered. 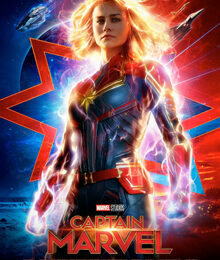 That Price now is recognized as having some financial value and thus is taken up by the major publisher G. Schirmer, is because of the work of decades of research by scholars and musicians, as well as Price herself, and her family members. Shadle details this in a series of Twitter posts. The larger point is, how can we keep these current levels going and even growing? 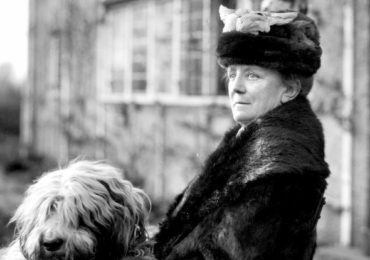 So that it is not a fad, or a wave, or a trend, but so that the breadth of the artistic achievement of Florence Price and other neglected composers can be recognized in a sustainable way – so that their place in the canon can be stable and secure, not glancing or fleeting. The music was always there, but the people with the ability to put it out into the world and promote it were choosing not to do so. And we all have to call ourselves to account for that kind of willful ignorance. I’m as deeply involved in the music world as anyone I know, and three years ago, I had never heard the name Florence Price. How is that possible? And more to the point, what can I do — what can we, the Minnesota Orchestra, do — to reverse that sort of whitewashing of musical history and give voice to these composers whose work deserves to be heard? 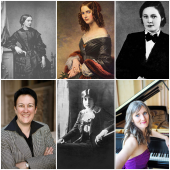 Women’s Philharmonic Advocacy is an offshoot of The Women’s Philharmonic, an orchestra that began forming in 1980, and finally dissolved in 2004. 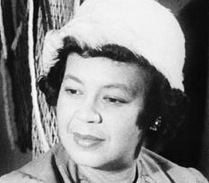 Florence Price’s music was programmed as early as 1984, and then the first symphony was performed in 1989. Symphony no. 3 and the tone poem The Oak were performed leading up to the landmark recording of 2001. This recording was the first – and is still the only – commercially available recording of Price’s orchestral music. While unfortunately the CD is out-of-print, the recording is still available via download. We are happy to have been a part of the work leading to Florence Price being more widely known and recognized as a brilliant and important American composer.